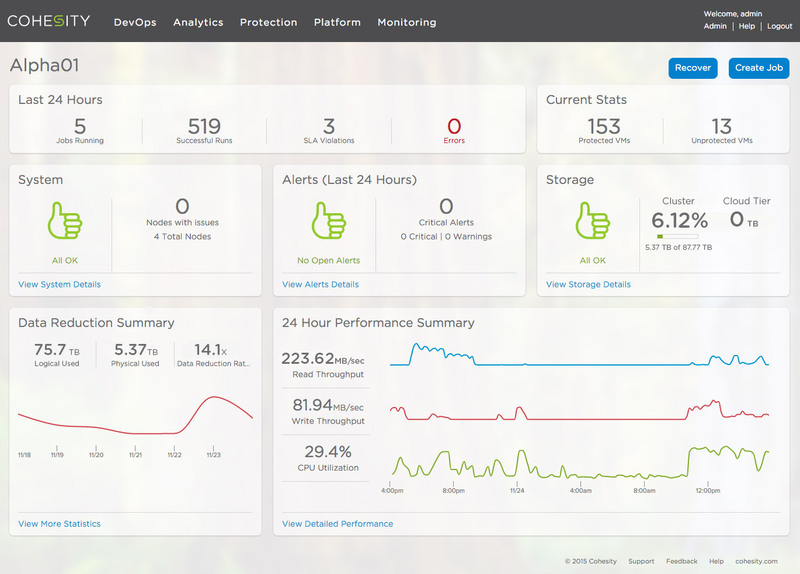 Cohesity have released their next version (2.0) of the Cohesity Data Platform. I met Cohesity at VMworld 2015, and I wrote about my first impressions of the solution in a blog post from back in August 2015. In a nutshell, Cohesity are positioning their Data Platform as hyper-converged secondary storage. They want to stop the silo’ing of different storage for backups, file shares and analytics in the data center, and offer you a single platform for all of your secondary storage needs. Now they are ready with the next version, so lets take a quick look at what is coming in this new release. I think this is a feature that many customers will appreciate; the ability to safely replicate your backups (and other secondary storage content) to a remote site. Cohesity 2.0 introduces a new capability for site-to-site replication between Cohesity Clusters. Once its configured, replication is initiated by simply making the correct settings in the profile. In the Cohesity platform, profiles determine RPO/RTO, location, indexing, etc. Cohesity V2 now has hardware-accelerated AES 256-bit FIPS-compatible encryption. This is all about spinning up a previous point-in-time (PIT) backup copy of your VM for test/dev purposes. Cohesity 2.0 now has automated cloning of backup VMs to speed up the process of spinning up zero-space clones. Cohesity 2.0 enables customers to take advantage of less expensive cloud storage. With 2.0, customers now have the ability to place cold or least-used data on Google Cloud Storage™ Nearline, Microsoft Azure and/or Amazon S3, Glacier. There are no updates to the hardware itself in this release, although I am led to believe that Cohesity are looking at some of the new storage technologies that are appearing now, and seeing if these would be a good fit going forward (e.g. reducing the data center footprint of secondary storage even further). More on this over time I guess. The Cohesity Data Platform 2.0 is available now at a starting price of $90,000 (USD). I asked Nick to explain this a little more. It seems that the $90k “starting at” price is for a 3-node C2300 (48TB raw, using 4TB drives, 800GB PCIe Flash cards per node). The more “flagship” Cohesity block is a 4-node C2500 (96TB raw, using 8TB drives, 1.6TB PCIe Flash cards per node). C2500 list price is $199k. That said, both of those include all necessary licenses at no additional cost. Nick said that this is also subject to change in the future, as that Cohesity are exploring “packages” to build around the OASIS platform for different customers who want to do different things (OASIS being the secret sauce at the heart of the Cohesity Data Platform). For more information, visit www.cohesity.com. Or reach out to Nick Howell on twitter who would love to discuss the solution and use cases with you in more detail. Nick’s twitter handle is @datacenterdude. 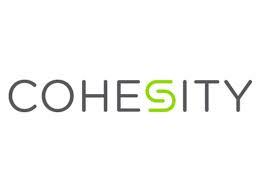 I wish Cohesity every success in 2016.